The most common area of application for SOMAS exhaust valves is pressure regulation in the engine’s inlet pipe. 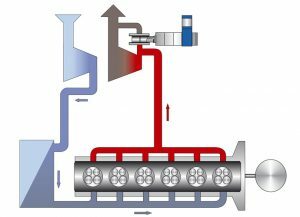 The regulation occurs when exhaust fumes spills out by the side of the turbine (exhausts are wasted). 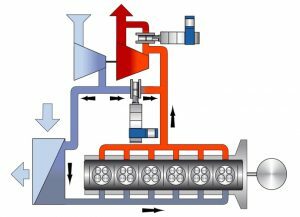 A bypass valve can also be included in a turbo system. It is an exhaust valve not directly involved in the pressure regulation.